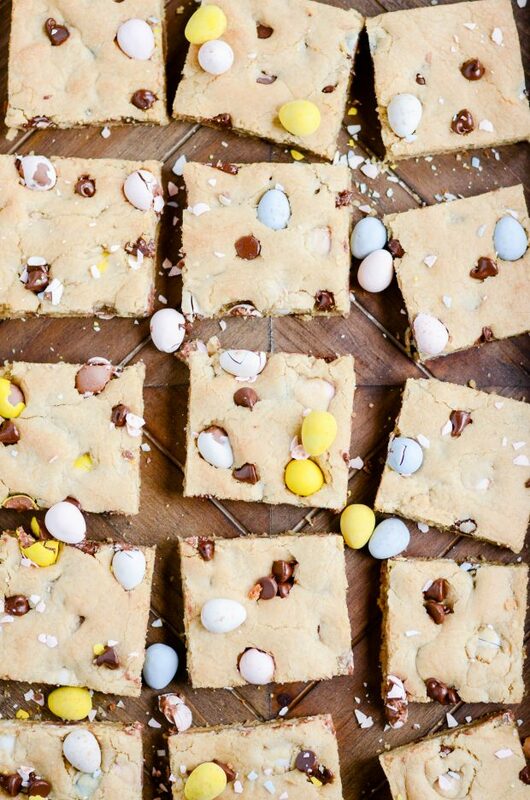 You don’t even need a mixer to whip up a batch of these soft and chewy chocolate chip cookie bars full of miniature Cadbury Eggs. 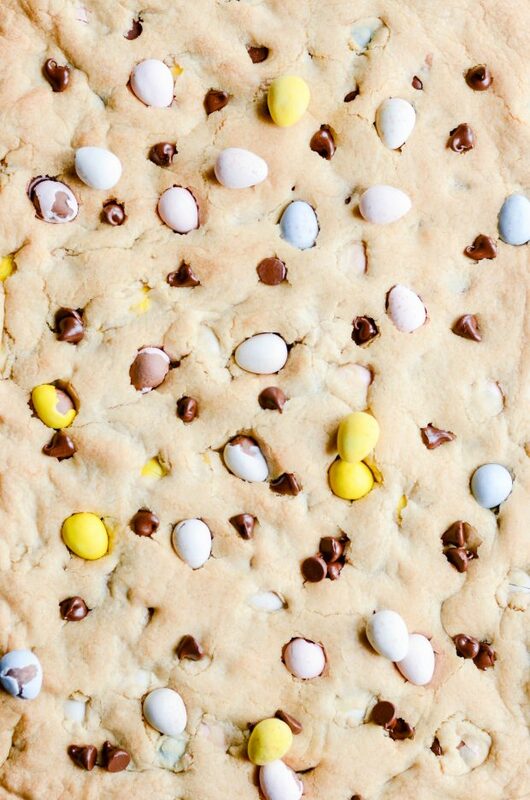 The perfect Spring-time cookie! 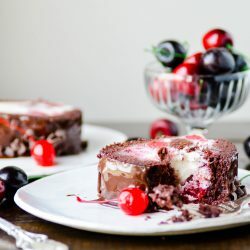 There are so many things I love about this recipe! Where to even start?! Well, first of all, we should start with the elephant in the room: Miniature Cadbury Eggs. Who has a favorite Easter candy that’s not Cadbury Eggs?? Bueller… Bueller… NOBODY! That’s who. Also, I must mention the delectable pairing of the Cadbury milk chocolate with the semi-sweet chocolate chips. It’s a heavenly combination, I assure you. Second of all, this is my favorite cookie dough. My favorite chocolate chip cookie dough of all time! That’s right, I said it. I’ve been testing dozens and dozens of chocolate chip cookie recipes over the past three years– can you believe it’s been that long? !– and this is my favorite. Remember Buzzfeed’s Ultimate Chocolate Chip Cookies? That’s these, in bar form. Dee-vine. Third of all (do I really need a third of all? ), can I just say crispy, butter edges? Chewy underbaked middle pieces! 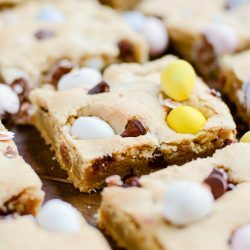 There is something for every kind of cookie lover in this recipe. 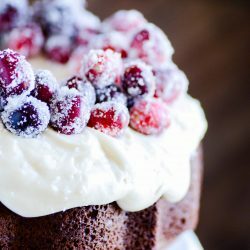 Seriously, get these in your kitchen pronto! And, by the way, pronto is all you’ll need. 20-25 minutes, start to finish. Can you believe that?! In less than half an hour you could be scarfing these down with a tall glass of milk. Just saying. ???? 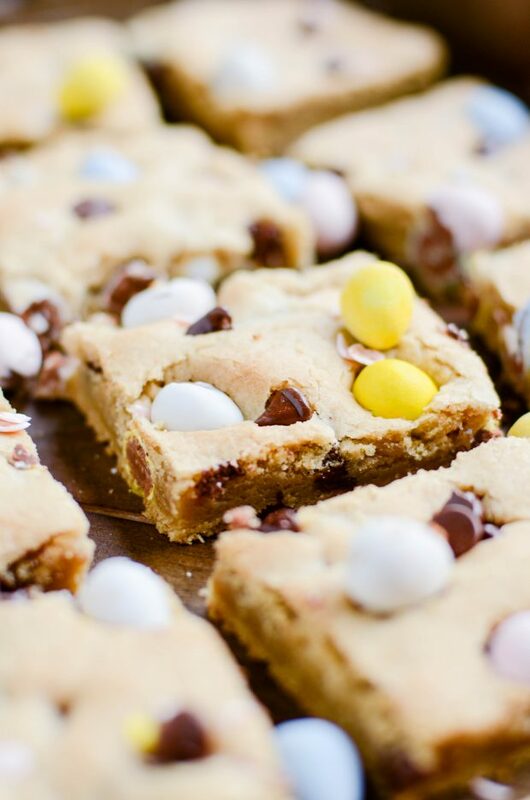 You don't even need a mixer to whip up a batch of these soft and chewy chocolate chip cookie bars full of miniature Cadbury Eggs. The perfect Spring-time cookie! Whisk together vigorously the sugars and the melted butter for one minute. Whisk in the eggs one at a time, and then add the vanilla. Add the dry ingredients to the wet and stir with the spatula to fully combine. Make sure you’ve scraped the bottom of the bowl and there are no streaks of dry ingredients left. Stir in the chocolate chips and Cadbury Eggs. 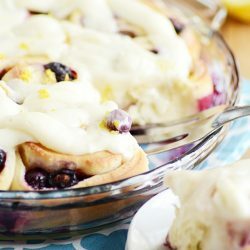 Press dough into a lined 10x15 baking sheet (jelly roll pan). Bake for about 15 minutes, when edges are just beginning to turn golden brown. Let cool on the baking sheet before cutting.